Loblaws, a Canadian supermarket chain, recently announced that it was acquiring Canada’s largest chain of pharmacies. This move has been hailed by some observers as the creation of a sort of Canadian national champion in retail that will be able to fend of American firms. Katharine Rollwagen has published a post placing this discourse in its historical context. In particularly, she compares it to Canadians’ reactions to the acquisition of Simpson’s, a Canadian department store chain, by Sears, a US firm, in 1952. Rollwagen is an L. R. Wilson Assistant Professor at the Wilson Institute for Canadian History at McMaster University. There might be a follow-up post by someone else on the role of Quebec nationalism in shaping the supermarket landscape in that province. 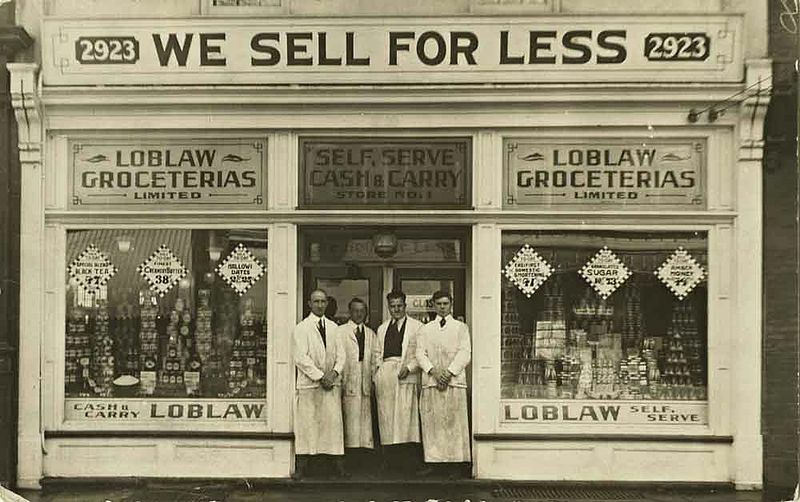 For many years, Quebec’s government blocked the entry of Loblaws, an Ontario chain, into the province by frustrating Loblaws attempts to purchase Steinberg, a Quebec supermarket chain. See here.